United Kingdom is going to have an election on 2015 and after the election may there will be a bad news for all the Whatsapp, Snapchat and other encrypted messaging service users. If UK prime minister David Cameron, wins this general election could push for a ban on WhatsApp and Snapchat . The move would be the result of new surveillance plans proposed in the wake of the terror attacks in France. With the above statement Cameron clear that he wants to stops the use of the communication methods that cannot be read by the security services even with a warrant. As Whatsapp and Snapchat have implemented an encrypted features on its service last year, hence it make difficult for officials while on its investigation. If the officials have warrants, then also they are not provided with the full in formation to reads. Cameron acknowledged the "contentious" nature of this approach and reassured citizens that obtaining such data with permission from the apps would still require a warrant. "Let me stress again, this cannot happen unless the home secretary personally signs a warrant. We have a better system for safeguarding this very intrusive power than probably any other country that I can think of," Cameron added. After the numbers of the leaks from the whistle blower Edward Snowden, which reveals the NSA surveillance, the users privacy is been the first priority for any service provider. In the related with this many of the companies have took great steps for protecting the users data and information. 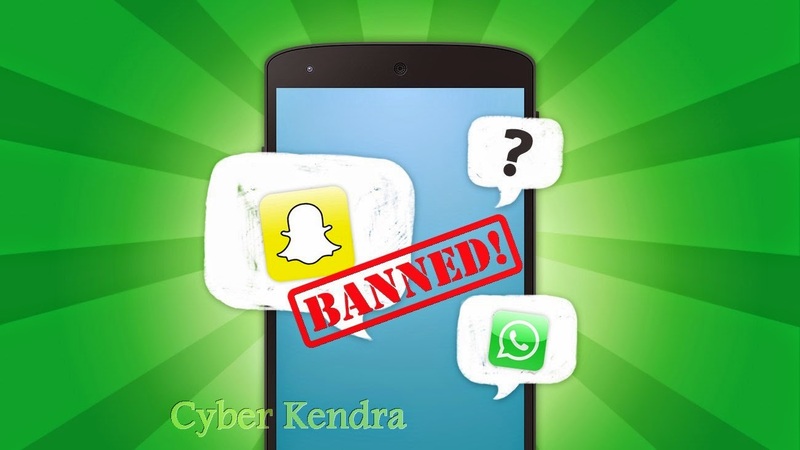 Messaging service like Whatsapp and Snapchat and othet social sites have also committed to keeping their services encrypted so that the communications between their users remain unable to be read by authorities.